I’m all for good face cleansing at the end of the day. I actually look forward to days when I have the night to myself so I can really cleanse my skin and give it some TLC. 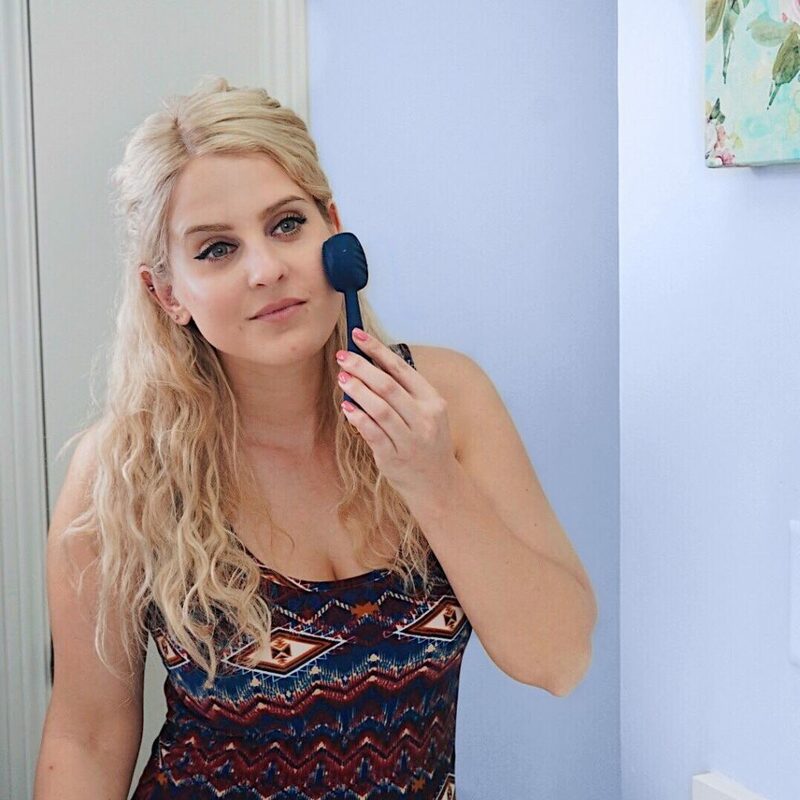 I usually just use my hands or a face brush to work my face wash into my skin, but I’ve recently been trying out the Clean facial device from PMD. 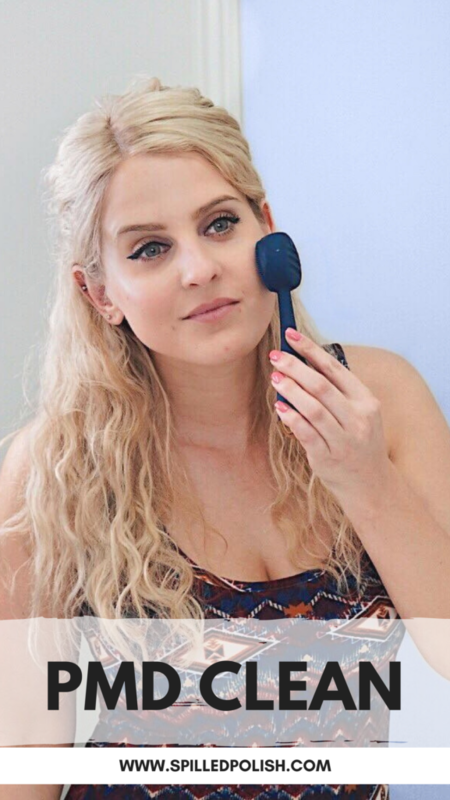 It’s a handheld device that ensures a deep cleanse by using over 7,000 vibrations per minute. This not only removes all makeup, dirt, and oil, but it helps lift, firm, and tone problem areas for a more youthful appearance. PMD’s Clean ($99 USD) facial device is made of ultra-hygienic silicone and is odor-resistant, antibacterial, hypoallergenic, and waterproof. Perfect for using in the shower! Since it’s so easy to clean, you never need to replace the brush. 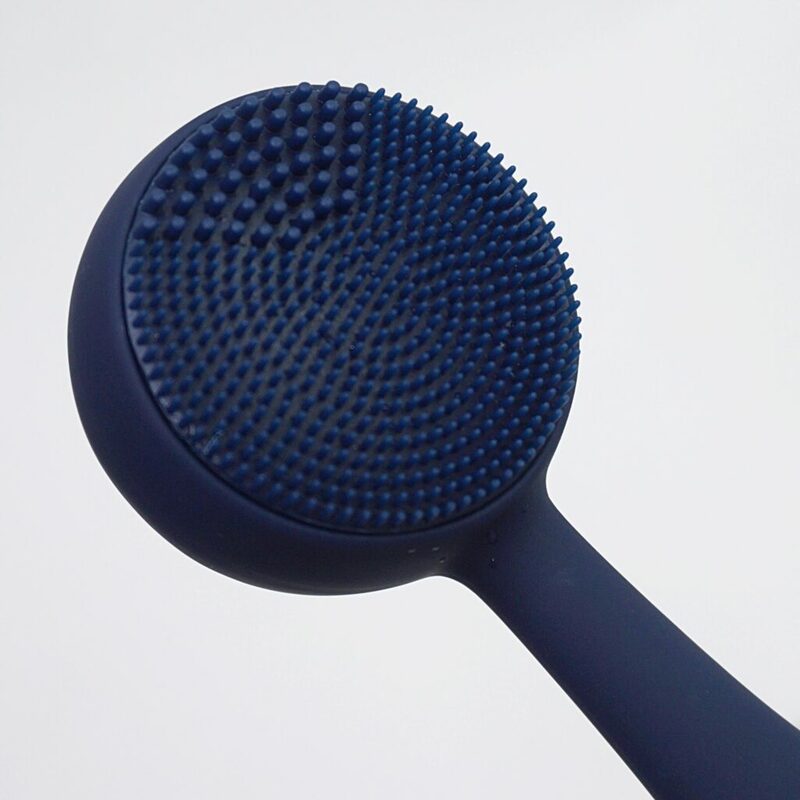 On one side of the device, there are the soft silicone bristles that cleanse your skin. On the reverse side, there is a firm grooved backing that is meant to massage in serums and creams into your face using pulsating vibrations. I had high hopes for this product, but I feel like it doesn’t get my face products into a good lather. Facial products, such as face wash, have to put it on my face first and then go over it with the device. I feel like I get a better cleanse when I use my hands or a brush, but I also believe by using this, it does get the product deeper into my pores by using the vibration. I didn’t think the vibrations on this device would be as powerful as they are. I’m also not sure if it’s just that reason, or if it’s the design of the product, but when I use it on my forehead, it actually hurts. It’s basically banging on my forehead and is quite hard. I have to hold the head of it in order to use it on my forehead to avoid that from happening. I would like this product better if the bristles were a bit longer – I think this would help lather product more easily and be softer on my forehead (if the design of the device doesn’t change). If the design was changed so that the whole “wand” was the same width all the way up/down, then perhaps the vibrations wouldn’t be so strong… I suppose the strength of the vibrations could also change. There are different speeds, but even the lowest setting seems fast. I personally wouldn’t pay $99 USD for this just because I could get an equally good cleanse using my hands. But I do enjoy using it a couple days a week just to see if the vibrations actually work on lifting and toning my skin. Would you ever try PMD’s Clean device?